With everyone liking to think of themselves as amateur chefs these days, there's no shame in having dinner guests participate in the meal preparation. And thanks to its folding design that lets it expand into a long grilling station, Trisa's new Vario gives everyone at the table ample real estate for prepping their food the way they want. 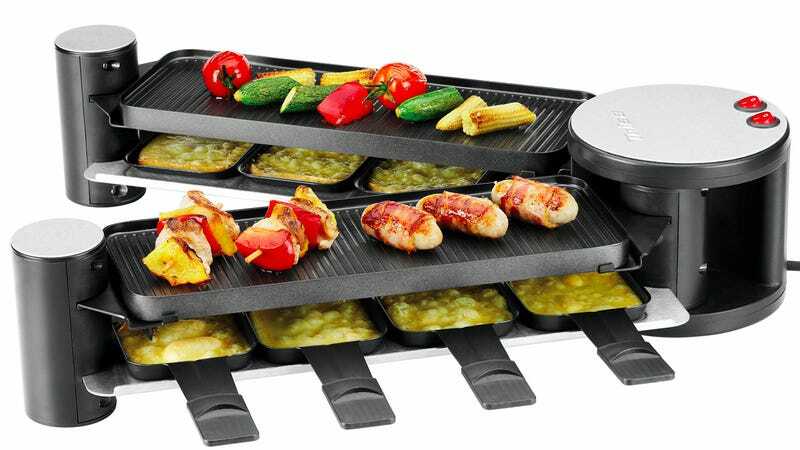 Beneath the grilling surface you'll also find a series of heated raclettes which are traditionally used for melting cheese, but there's no reason they can't be re-purposed for making crepes as well. At $160 the Vario could even make for a decent alternative to a stove should you find yourself living in some kitchenless hell-hole.